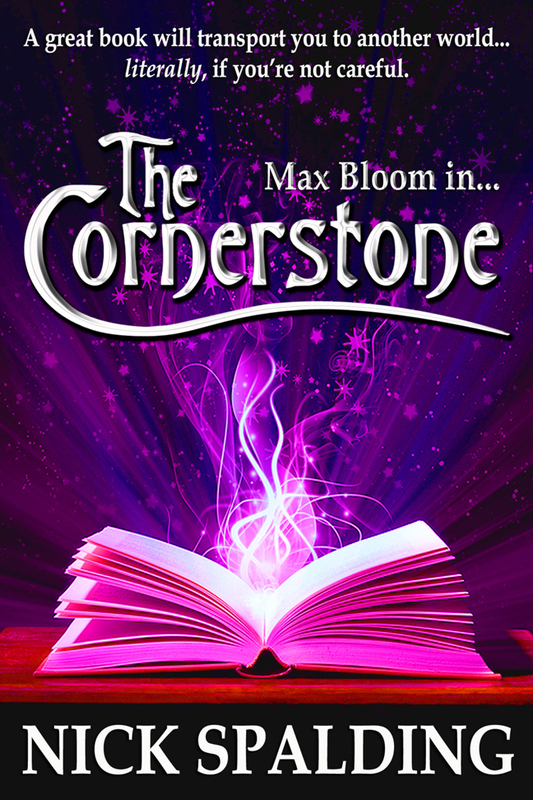 Nick Spalding: A new cover for Max Bloom In... The Cornerstone. Now, I'm not claiming this new version is wildly original. In fact, the picture of a magic book could be considered something of a cliche. However, when you get right down to it a cover should be as simple, descriptive and eye-catching as possible. Max Bloom In... 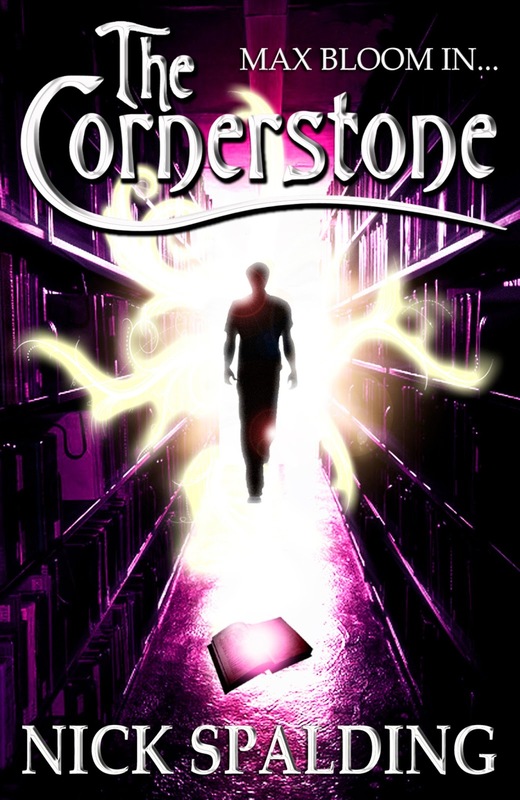 The Cornerstone is essentially a book about a magic book, so the cover of the book is now a magic book. It's also more brightly coloured than the old one, which will hopefully catch the eye of the browsing reader. I have no idea whether this is a worthwhile experiment or not, but I like to have a change every now and again, so why not do it with a book that's currently not blowing the doors off sales-wise? Nick Spalding: experimenting with self-publishing so you don't have to.